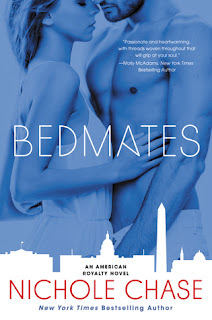 Bedmates is book one in the American Royalty series. 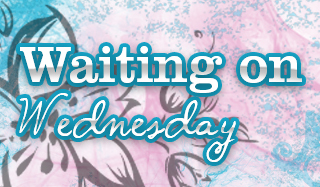 I wasn't really sure what to expect when I started this novel but was pleasantly surprised to find a vegetarian leading lady that is passionate about animal rights with a yummy veteran as her love interest. We start off meeting Maddie McGuire, the President's daughter when she attempts to break into a facility to free animals that had been tested on. Of course, she's caught and winds up having to do volunteer work building houses for homeless veterans with Jake Simmons. Jake is the Vice President's son and a veteran that was wounded in Afghanistan. While they weren't exactly at odds in the beginning, they do quickly become closer and wind up falling into a relationship. This couple makes sense to me since both understands the hardships of being in the public eye all the time and there was some nice chemistry between the two. This wasn't exactly an easy going book on either of them though like I initially thought it would be, some personal demons arise and jeopardize their relationship along the way. Bedmates shows some strong factors that I'm really glad were included in the story. Jake is still mentally trying to recover from the war and it's taking a toll on him. Maddie is trying her best to be supportive and not pry into the matter but just wants him to find someone he can trust to work through it. The character's depth and details that were included were a really nice touch and made the story work for me. All in all, if you enjoy Contemporary Romance with veterans, or politics involved I think you'd love this book! It was pretty good, when I first saw it I was like oh no politics, but it worked well! :) She really was, I don't see many that are passionate like that about something. That's exactly what I thought too lmfao It's not too much politics but it is heavy of them working on building houses for veterans! OH it looks like you enjoyed this one. You don't see many vegetarian heroines so I like that. I know, right? I wonder why more authors don't do vegetarians!